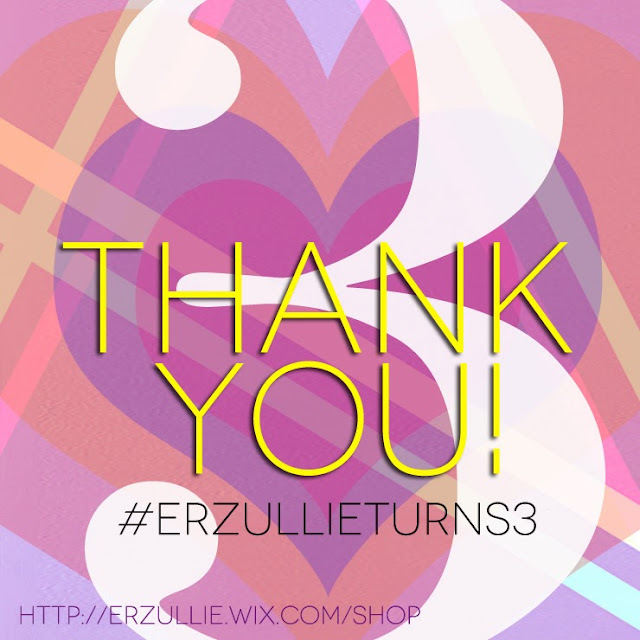 Today is officially Erzullie’s birthday --- 3 years, ladies! Happy anniversary! And of course, with that, comes the annual gratitude/love note that we have for everyone that made it possible for us to remain in business and grows as one after all this time. #1 Erzulliestas. Of course, where would we be without your ladies buying/shopping and sharing our designs! Thank you very much for constantly raising our sales through the roof and helping us grow the number of our sisters in fashion! Thank you also for keeping us inspired with your lifestyle and fierce fashion choices and suggestions! #2 Erzullie Icons. All of you ladies, from the first to the latest --- thank you for inspiring us and making our brands better with your representation. #3 Personal Shoppers. Thank you ladies for always taking great care of our Erzulliestas and being part of our sisterhood --- Apple Pueblo, Bea Faustino, Hanna Frialde, Monica Reyes, Timmy Mariano, Gladys Reyes and Donna Manio. #4 Pinay Curvies. You girls are amazing and inspire us greatly. We would like to thank you for all the support that you have given us. #5 Failures. Thank you failure for showing me what not worked and then pointed me to the better direction on how to handle Erzullie. In light of that, thank you Victory and blessings --- we are happy that you liked to be found by us. #6 Erzullie team --- Mark Ryan Alvarez (photographer), Azaza Rodriguez (MUA) and occasionally Apple Pueblo (hairstylist). Thank you very much for being there for photo shoots and making each project better than the last one. #7 The Universe. Thank you for providing for us for all of our needs and being the space where the brand can grow and manifest naturally. #9 Family. Well, we won’t be here without the basic support of our relatives. Thank you for allowing us to make the Top Floor of the Taytay house our design studio and thank you for allowing us the Pasig HQ to happen and as well as transportation use. #10 Bazaar organizers --- SuperSale Bazaar, Rockwell and Yabang Pinoy. Thank you for existing. Our Erzulliestas are delighted to always meet up with us during your events. Thank you. #11 Backstage store and Fashion Wearhaus. Thank you for stocking up with our brand, giving our Erzulliestas other options other than online. #12 Wix.com Thank you for being free and allowing us to have a temporary online shop. #13 Chami Viray. Thank you for being the fantastic woman that you are. You inspire us to do what we do. Fierce and Flaunt was amazing and we look forward to doing this again! #14 Tita Glen. May you rest in peace but you know that you have got the boll rolling with Erzullie’s fierce designs. You are a great mentor to Berna and a great production person. #15 Code-Limited.com. Being our first fashion family, even up to now, we still receive opportunities and new doors from you. Thank you very much for always remembering Erzullie. To all those we have failed to mention, you know we love you. Happy 3rd year anniversary for everyone and again thank you! More fierce years to come and grow into for everyone! PLUS SIZE FASHION (DESIGNER’S THOUGHTS) WHY “NEW BREED/BREATH” FOR #ERZULLIETURNS3? 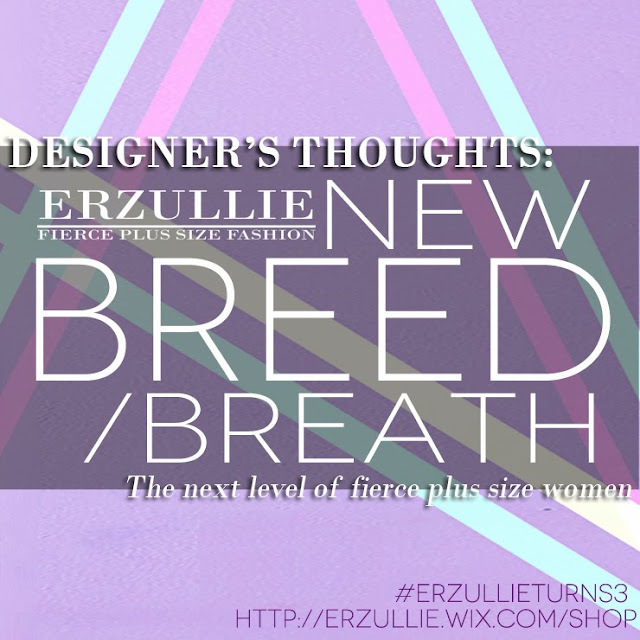 The 3rd year anniversary editorial was named “New Breed/Breath” because it is our vow as a fashion line to be the new generation of plus size fashion here in the Philippines. For us, gone are the days that plus size fashion here in Philippines just sat quietly in one corner being bought just because women had no other choice size-wise. Erzullie aims to provide a whole new level of option for the plus size women who are innately fierce and wants garments that reflected that. 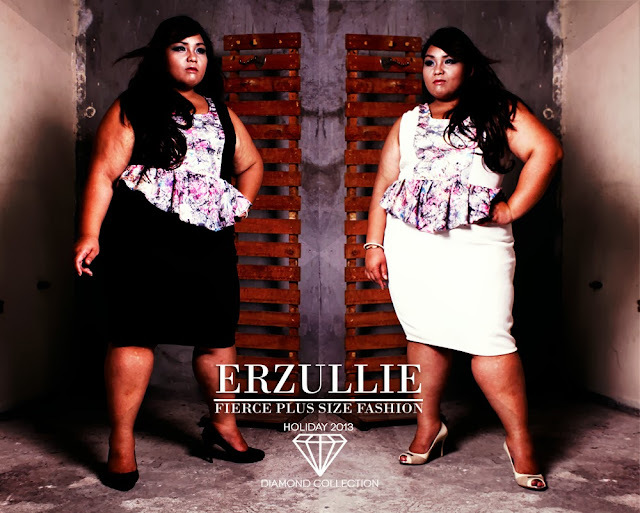 In 3 years of the brand’s operation, we have seen our Erzulliestas evolve from someone that just broke out from the plus size fashion norm and shocked society to a woman whose power she exercises greatly even with just a faint smile or a gentle wave of her fingers. She has become the new plus size woman --- the new breed and breath of our plus size community. We are fierce plus size women and we no longer need anyone to tell us that. But a new challenge emerges --- we must now learn to live it. It’s now time to live like the fierce plus size women we claim we are! That is why, our 3rd year anniversary looks futuristic because we believe that this is the future of Philippine plus size fashion --- more refined, high end and fresh new faces (Erzullie Icon and Plus Size Models, Audrey Lee and Kat Lopez) popping up. Happy 3rd year ladies! Not only are we celebrating the brand’s birthday but also our victory as fierce plus size women! For now, after 3 years of fighting for our right to have a place in society, we are now finally recognized --- we are the new breed/breath of the Philippine plus size society. 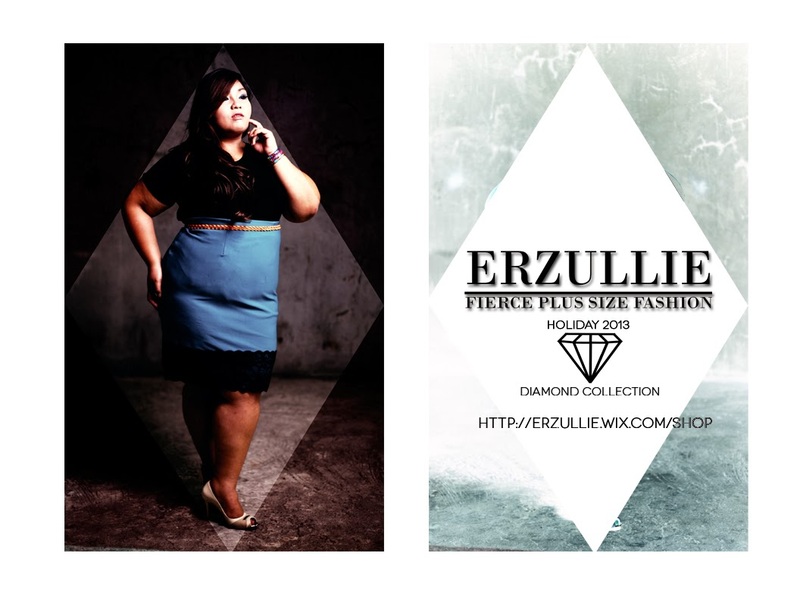 The Erzullie Holiday 2013 collection is now available online and part of that collection is this fabulous plus size blue pencil skirt with lace detail!